Würth began as a two-man operation in 1945 and has since grown into a world market leader supplier of fastenings and assembly components. Over the years our product catalogue has expanded substantially but fastenings remain to be at our core. In stock we have over 1 million unique variations of fastenings built to international standards and the specifications of our global customer base. We pride ourselves on holding the most modern logistics center for industrial supply in Europe. 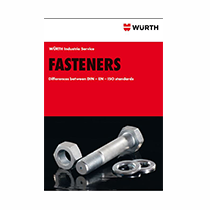 Which sizes of fastenings are available from Würth Industry? The primary stock of fastenings available from Würth Industry is Metric as this is the requirement of the majority of our manufacturing customers. Within our standard range of stock we have fastenings available from M1 to M90 (1mm diameter to 90mm diameter) and lengths from 2mm to 3000mm. Custom fastenings are available in almost any size that our customers require, built to international standards and your specific dimensions. 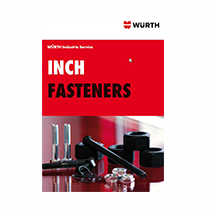 With a drawing or specification provided, Würth Industry are able to supply fastenings of any size whether it is Imperial or Metric. Which materials and coatings do Würth Industry offer? Würth Industry can offer fastenings in any material from standard Steel to exotic materials for the petrochemical industry such as Inconel. We aim to supply fastenings with materials that are suitable for any industry. Many of the customers supplied by Würth Industry work in very different industries with very different demands. For many applications the standard materials such as Steel, Brass, Nylon and Stainless Steel will be sufficient but this isn't always the case. For demanding applications we have materials and coatings available to protect the fastenings from their environments. If you have requirements for complex materials please contact your local Würth Industry representative on 01443 846 080 for advice. Which International Standards are you able to offer? Würth Industry are able to offer fastenings built to a huge range of International standards. The standards are recognised around the world by engineers and manufacturers as they guarantee the quality of the fastenings which reduces the time it takes to buy and test each fastening in the products being manufactured. What are the benefits of buying fastenings from Würth Industry? Würth Industry and other members of the Würth Group work as strategic partners to many of the world leading manufacturers of the automotive, electrical, sustainability and other markets. We operate in over 40 countries globally and supply 1600+ Systems customers with fastening and assembly components. Many of the parts available from stock are used by multiple customers worldwide. Having more than 1 customer using the same type of fastening will increase the volume and decrease the cost per piece. Würth Industry have the experience of over 1500+ colleagues willing to help you with your requirements. In our company we have many trained engineers, designers, purchasers and logistics experts that can help to improve your supply chain. Many of these colleagues begin as apprentices and learn the industry from a young age with Würth Industry. Billions of fasteners are available now from Würth Industry. As the majority of stock available is built to internationally recognised standards, the likelihood is that whatever type, size or material you need it would be available for next day delivery. Which types of fasteners do you offer?